This book is similar in design to other books in the Paso a Paso Series for Health Care Professionals. This package is specifically for mental health workers attempting to break through language and cultural barriers between English- and Spanish- speaking participants. The suggested application is a small group setting in the workplace in which a fluent Spanish speaker serves as a facilitator at one-hour sessions held once a week. The learner is expected to work daily on exercises and practice listening and responding to the accompanying audio files. The premise is that the beginning learner will not be alone in a situation where a conversation is beyond their ability but will be part of a team and will acquire greater competency through active, on-the-job speaking and listening. All too often non-English-speaking newcomers are isolated, separated from the family support systems they once enjoyed in their native countries. They are overwhelmed and don't realize assistance is available to address the depression, anger, and frustration they are feeling. 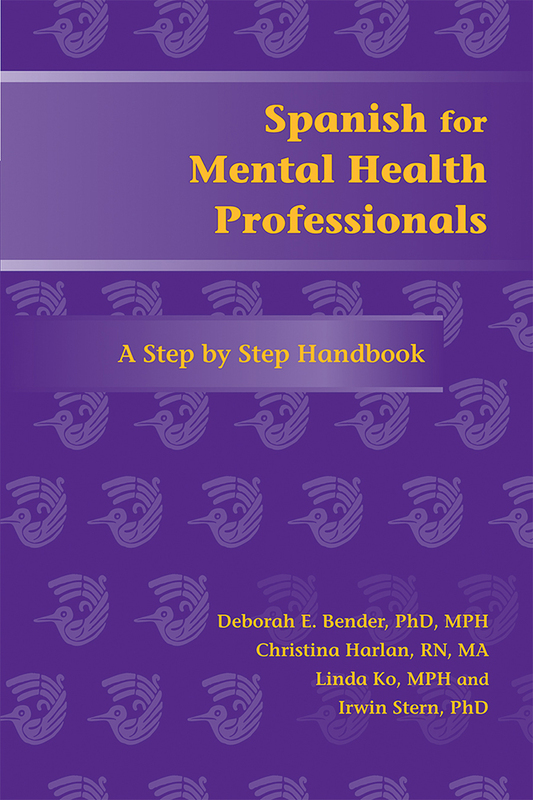 This handbook will help mental health and social workers reach across language barriers to help their clients. Deborah E. Bender is a professor in the School of Public Health at the University of North Carolina. She also codirects Pasos, the Language and Culture Learning Initiative, sponsored by the North Carolina Immigrant Health Coalition. Christina Harlan is an instructor in the Schools of Public Health and Nursing, University of North Carolina, and the codirector of Pasos, the Language and Culture Learning Initiative. Linda Ko is a native Spanish speaker who assisted with the development of the texts. Irwin Stern is a professor of Spanish and Portuguese at North Carolina State University. He helped develop the medical Spanish program at Columbia University’s College of Physicians and Surgeons and directed the program from 1987 to 1997.